Last month, it was reported that HBO is not interested in airing any future bouts of WBA/WBO Jr. Featherweight champion Guillermo Rigondeaux, following his one-sided victory over Nonito Donaire this past April. According to Rigondeaux’s promoter, Bob Arum, whenever “Rigo” was mentioned to HBO, the network “throws up”. This has been part of the ongoing backlash by more than a few folks within the boxing community following Rigondeaux’s win over Donaire. It seems that in the aftermath of his biggest win and one of best boxing exhibitions in 2013, Guillermo Rigondeaux is being indicted for it. In light of HBO’s decision and salty attitude towards Guillermo Rigondeaux, a few questions arises. Why such disdain towards Rigondeaux? Now if we’re gonna be completely honest, Rigondeaux doesn’t always fight in the most exciting fashion, and can be overly cautious at times. Even during his win over Donaire, he was criticized for stepping off the gas during the fight. Now the flip side of that is Rigondeaux is a master boxer whose skills are elite. And if that’s part of the reason that HBO has such an attitude with Rigo, then they are being somewhat hypocritical. Keep in mind this is the same HBO that televised master boxers like Pernell Whitaker for a number of years, the same Whitaker who didn’t change his style and didn’t have that ‘it’ factor as far as personality goes. This is the same HBO that made Roy Jones a mainstay on their network for a decade when on many occasions, Jones fought cautiously during bouts. And also, keep in mind that when Rigondeaux destroyed Teon Kennedy on the under-card of the Manny Pacquiao – Timothy Bradley PPV fight in June 2012, they were heaping praises towards him and his fighting style. If HBO went out their way to make Roy Jones and Pernell Whitaker household names with mainstream appeal, why couldn’t they work to do the same with Guillermo Rigondeaux? Another issue could be the ongoing beef between Bob Arum and Golden Boy Promotions. When you look at the landscape between Jr. Featherweight and Featherweight (122-126lbs), a couple of future opponents could be WBC Featherweight champ Abner Mares and former Bantamweight champ Leo Santa Cruz who is moving to Jr. Featherweight, fighters promoted by Golden Boy. Because of the Arum-Golden Boy beef, maybe it’s their contention that those fights could not be made. Problem with that is, this is boxing. Bring enough money to the table and those issues would get quickly resolved. Besides, because Jr. Featherweight and Featherweight is so loaded right now, there are plenty of other fights out for Rigondeaux, including terrific potential fights with Mikey Garcia and IBF Featherweight champion Evgeny Gradovich. Another reason could be the language barrier. The Cuban born Rigondeaux, who currently resides in Miami, doesn’t speak English. My response to that is, if HBO could work with the likes of Felix Trinidad in the past and Julio Cesar Chavez Jr now, they can work with Rigondeaux. Now let me get to the reason in which I suspect that HBO is throwing all kinds of shade towards Rigondeaux. In one night, Guillermo Rigondeaux spoiled all their plans for Nonito Donaire. It wasn’t that Guillermo Rigondeaux just defeated Donaire this past April 13, he comprehensively out-boxed Donaire in such a decisive manner, absolutely no one could question it. The bottom line is that HBO was giving Donaire a big promotional push and touting him as the best pound for pound fighter in the world not named Floyd Mayweather. He was gonna be their replacement for Manny Pacquiao as king of the little giants. In short, Rigondeaux destroyed the myth of Donaire, but spoiled many of their future plans to make Donaire a possible mainstream attraction, and HBO is still upset about it. 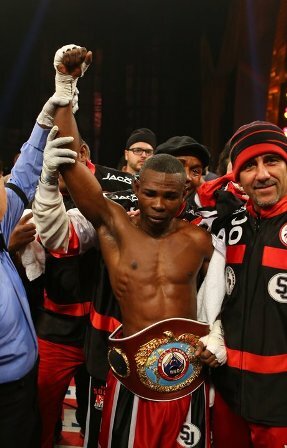 What HBO should do instead is embrace Guillermo Rigondeaux and invest in him. What you do HBO is put Rigondeaux in the ring with the right opponents that bring out the best in him. Rigondeaux is an educated boxer at his core. That’s how he was taught growing up and that’s what he believes. He’s not gonna change that for anyone, and why should he given the success that style has brought him both during his amateur and professional career. If HBO were smart is search for the right opponents, quality fighters that come forward and make “Rigo” fight, or put him in the ring with an equal quality of boxer. Yes I know that there’s a lot of politics and red tape in boxing that can get in the way. However this is HBO, still the most powerful network in the sport. They can cut through much of that red tape and make the best fights for a Rigondeaux. If they were willing to do that to make the Oscar De La Hoya – Felix Trinidad fight happen in 1998 and the Lennox Lewis – Mike Tyson fights happen in 2003, they could certainly do that in regards of Guillermo Rigondeaux. Instead, they got on their high horse and proceeded to throw shade towards him. HBO is guilty of punishing Guillermo Rigondeaux for his greatest victory of his career. Now Guillermo could move over to Showtime and still make a career, and even become a star because there are options for him. However, that is not the real point. The issue is boxing’s premiere network and their beef towards a fighter who is obviously one of the better fighters in the sport. HBO is not only wrong with their stance towards Rigondeaux, but are guilty of having a double standard and its high time for their dismissive attitude towards him the be called out for what it really is. Pound 4 Pound Boxing Report #13 – Boxing and Terrible Judging Strikes Again!!! I’m trying something new with the show. Instead of going the podcast route, we’re gonna test out the show on YouTube. With that said, watch and enjoy! – Why Teddy Atlas could be problematic for not just for ESPN, but for the sport as well. – The upcoming 4-man Jr. Welterweight tournament. – And a preview of the rematch between Brandon Rios and Mike Alvarado, plus Gennady Golovkin fighting in Germany. 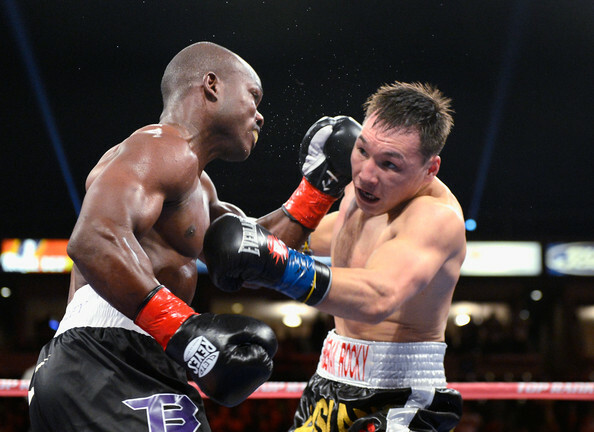 Pound 4 Pound Boxing Report #12 – Bradley and Provodnikov Put On a Show… and the Best Fight So Far In 2013! On this episode of the Pound 4 Pound Boxing Report we discuss Timothy Bradley and Ruslan Provodnikov giving us a fight for the ages, Lightweight champ Adrien Broner gets arrested, HBO shows Golden Boy the door, and we discuss boxing on WealthTV. All that and more!! !